The T-200 is a high-powered controlled source for geophysical applications, including exploration for oil and gas and other minerals. It can be used for time domain techniques (less than 100% duty cycle), or frequency domain techniques (100% duty cycle). The turnoff waveform shape is suitable for long period transient electromagnetics ("LoTEM"). 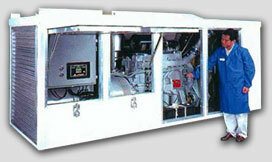 The unit can be used for time domain induced polarization (TDIP). 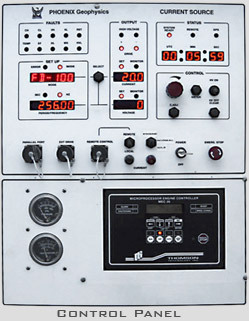 The T-200 can be used for frequency domain techniques including CSAMT (Controlled Source Audio Magnetotellurics), Complex Resistivity (CR), and frequency domain electromagnetics. The T-200 is designed to use either a grounded (or resistive) load, connected to the earth by suitable electrodes, or a suitable loop of wire (an inductive load). 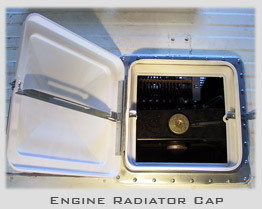 The control and power switching electronics are located in compartments installed inside the generator compartment. 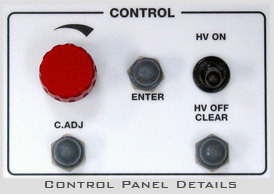 A microprocessor-controlled panel makes operation relatively simple. All waveforms are synchronized by GPS, for accurate stacking of waveforms without any physical link between the T-200 and the separate suitable receiving apparatus.